Hello everyone, latest Airtel coupons aur Airtel App Offers Jane. Mobile Recharge, postpaid bill payment, , DTH payment etc. Offer Jane. Amazing discount promo code ke saath aapna pasie bachaen. airtel India ka sabse baare Telecom network Hain. Airtel ke pass aab iska recharge portal Hain. Jiska saath aap apne mobile phone ko recharge Kare shakta Hain. Broadband, postpaid, DTH, bill payment mobile recharge mein 4G, 3G data pack, call pack, special offer, etc Hain. Aap postpaid aur prepaid recharge Kare shakta Hain. Aap apne landline ke bill ka peyment Kare shakta Hain. Iska liye aapko airtel website per jaana hoga. Hum available latest Offers and coupon code update karta rhata Hai. Jo aapka pasie bacha sakate Hain. Offer mein free internet aur discount offer include hain. Airtel bank account ke saath 7.25% interest rate. Aab airtel ne apne bank ko Airtel payment Bank banye Hain. Jasie mein bahut feature Hain. Apne bank account mein 7.25% interest earn Kare. Koi another account number nhi chaye. Aapka Airtel number aapka account number Hain. Free 1 lac accident incurance. Airtel money ke saath recharge Kare or bonus Talktime. Prepaid user ko 1GB 4G/3G data Rs.51 mile rhai Hain. Airtel prepaid users ko 1GB data 4/3G enjoy kare shakta Hain. Rs.51 ka recharge per plan Delhi ke liye. Other city ke users Link per click kare aur apna Offers list mein check kare. Airtel Data Share My Family Plan. Free 1.2 GB data 4/3G apps download Kare ke. Airtel free zone se 4Apps download Kare. 3 month ke liye 400MB data per month. 1 month ke liye free mein HD channels subscribe Kare. Eek new airtel DTH connection le aur 1 month ke liye free HAD channel subscription Kare. 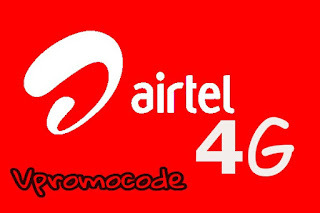 New Airtel Coupons And Offers. Unlimited calls + 84GB 4/3G data price. Rs. 399. Unlimited calls+ 28GB data price Rs.349. 500Sms free Airtel number Rs.39.